Let me hear your body talk! Hatsune Miku fans, rejoice! It looks like the upcoming Hatsune Miku: Project Diva X will be launching in North America as early as August 30 with both physical and digital copies available. It'll run you $49.99 for the PlayStation 4 version and $39.99 for the Vita version, but the "HD" will be dropped from the title for the American version. 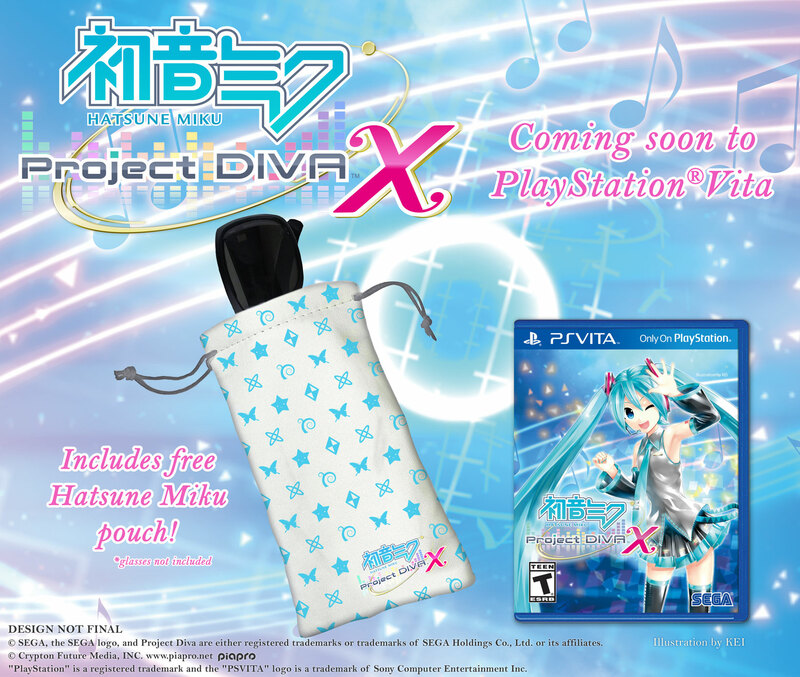 Both preorders for both versions will inclued a special microfiber Hatsune Miku pouch that can fit your sunglasses, phone, or a number of other things small enough for the little case. It's got a bunch of symbols all over it indicative of all the new gameplay icons you'll find within the game: Classic, Cool, Cute, Elegant, and Quirky. The PlayStation 4 version of the game will run at 1080p at 60 fps and you'll even be able to use PlayStation VR once it's released with the console version. It's going to be a sweet game to settle into this fall, and I can't wait to give it a try. Here's to more Hatsune Miku! Prepare for Square Enix's upcoming RPG remake by diving into the history of Secret of Mana. The company's latest classic RPG revival is slated to land early next year with 3D graphics, voice acting, and enhanced gameplay. From clip-on grips to heavy-duty vaults, there's a PS Vita case for players of all dispositions.